There are over 100 different species of trees that successfully grow in the Greater Vancouver area. You will learn how to identify most of these trees. We will discuss each tree with respect to form, texture, habit, foliage, flower and fruit characteristics, cultural requirements, pest issues and use in gardens and specialty landscapes. Designed for arborists, park professionals, tree pruners, landscape architects and gardeners. The first class is an informal classroom discussion of basic classification techniques. The remaining classes are visits to our local parks and gardens. These outdoor learning classes will meet directly at the parks; transportation is not provided. Please dress appropriately for the weather. A hand lens may be helpful, but is not necessary. This class is suitable for all skill levels. This course counts for ISA Continuing Education credits (10). 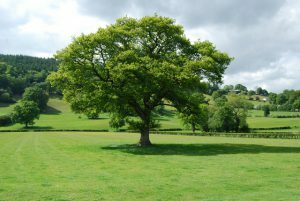 The recommended reference guide is The Sigley Guide for Trees. Matthew is an ISA Certified Arborist and ITA Climbing Arborist employed in the municipal and private sectors as an arborist and instructor. Matthew completed Sir Sandford Fleming’s Arboriculture Certificate Program in 2012 and has taught in the ITA Arborist Technician Apprenticeship at Kwantlen Polytechnic University. Kelly is an ISA Certified Arborist and Tree Risk Assessment Qualified Professional. He is regularly contracted by private and institutional clients to assess the health, condition and risk potential of trees throughout the Greater Vancouver Region. Over the past ten years, he has assessed thousands of trees in his work with Land Use Professionals to mitigate development impact. Board Certified Master Arborist for Froggers Creek Tree Consultants with over 24 years experience.